The ovarian cancer clinical research thus far has unfortunately not found a cure for this disease. Since it is a disease that could go undiagnosed for a long period of time it is also important to conduct ovarian cancer clinical trials on ways to better diagnose the disease. Studies indicate that there are genetic causes and possibly a link with hormones, but more studies are needed to verify this. If you have been diagnosed with ovarian cancer and are interested, there are ongoing ovarian cancer clinical trials. Please review the list and contact us if you are interested. 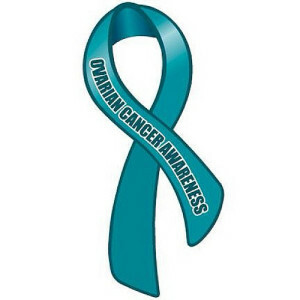 Ovarian cancer is cancer that develops on the ovaries usually on the surface of the ovaries or sometimes in the fallopian tube. Approximately 90% of cases are epithelial being that they are found on the surface. The risk of ovarian cancer increases with age and in those with the mutated BRCA1 or BRCA2 genes. Initial symptoms of ovarian cancer include abdominal discomfort and bloating. The first line of defense for treating ovarian cancer is usually surgery. The type of surgery depends on how far the cancer has spread. In some cases just the affected ovary might be removed. In more advanced cases both of the ovaries, the fallopian tubes and the uterus may be taken out. If necessary, ovarian cancer treatment may include a combination of surgery followed by chemotherapy to treat any residual disease. Radiation is not recommended in treating ovarian cancer since too many healthy cells can be damaged.